10 pre-made colour themes (.XML files). Only 2 Clicks to customization colour theme. 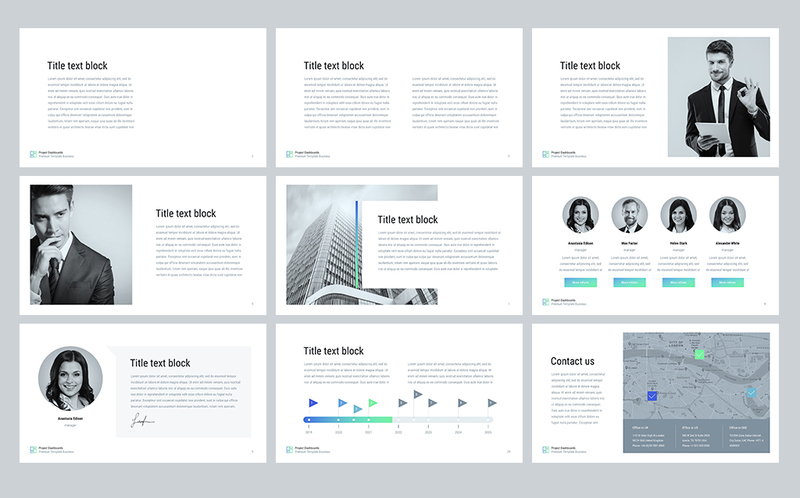 Such a template serves as an excellent visualization tool that simplifies the process of topic development and its perception. Business reports are usually full of data, complex figures, statistics and other information that is rather difficult for perception and remembering. 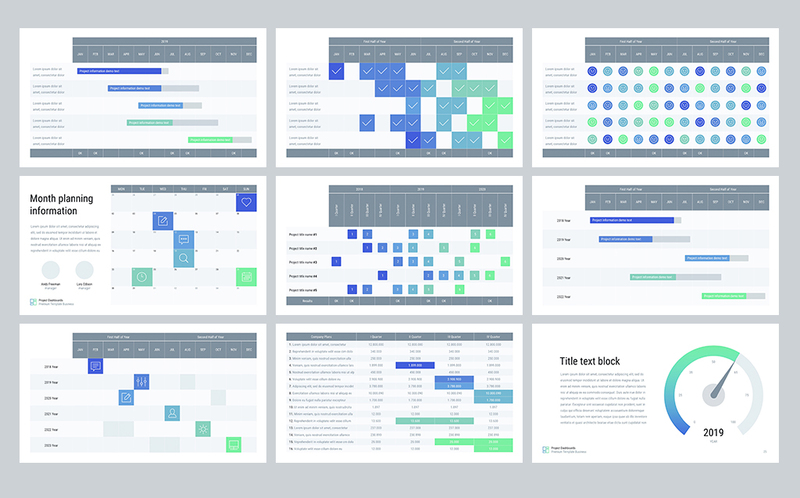 A number of visualization elements such as charts, tables, mockups allow you to display your topic clearer and easier for perception. 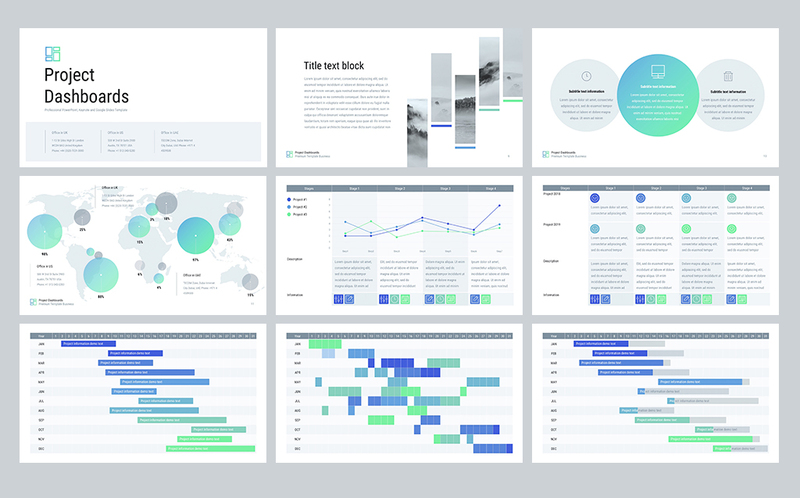 If you're going to present a company annual report, ppt templates as this one are perfect. Moreover, these projects often look boring and lack vividness due to a great number of dry data. The use of different visualization elements attracts attention. Your audience won't feel tired of the topic and your speech. Besides, a high-quality professional template serves as an image-maker with the help of which you can create a good impression as well as demonstrate your skills and competence. 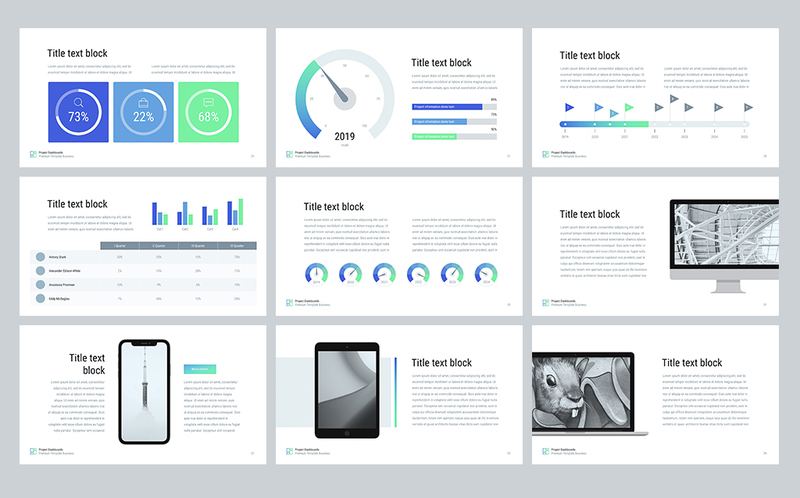 This business report PowerPoint template is comprised of more than 35 unique ready-made slides for PowerPoint software. You are free to choose the most suitable color theme among available 10 pre-made colors. 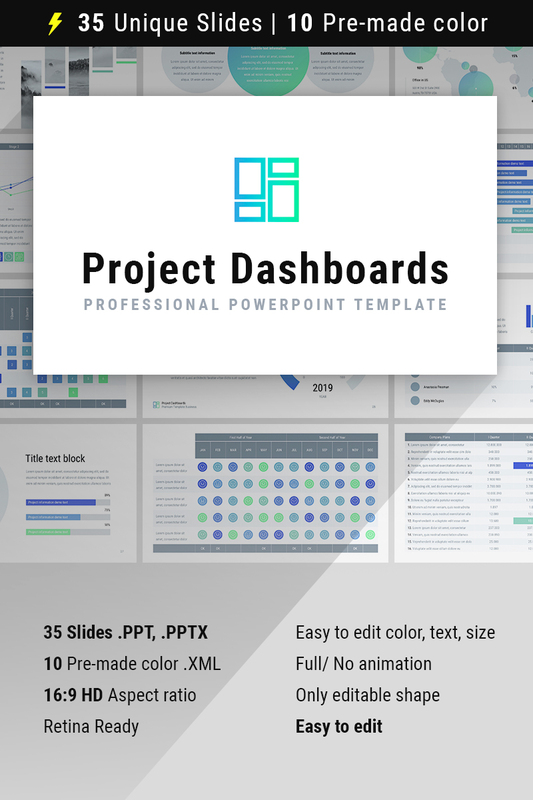 This element is designed especially for business reports and equipped with all necessary slides. On the sample, you'll see charts, tables, maps, “thank you” slide, biographies, pricing tables, diagrams, etc. The slides are able to cover the whole topic and display any type of information.